Click here to download a spreadsheet with all 2018 / 2019 fixtures. A PDF version can be downloaded here. 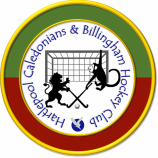 Fixtures Live - Live fixture lists, results tables and match reports for the Durham Clubs League (Ladies), the North East Hockey League (Mens) and also for the Durham County Indoor Hockey Leagues (Ladies & Mens).